I started web development 2 years back and Ruby on Rails became the default choice. Rails is a beginner's heaven but soon you realise about performance overheads and other pain points. Elixir came as the shiny new thing and I got my feet wet in it at the start. Built my first blog app(duh that's how I started to learn Rails). Soon I was learning bits and pieces and reading about the Awesomeness that is- Elixir. Why Elixir? I have a list of reasons like personal growth as a developer, who is not language or framework bound, its ability to build scalable apps with better performance and more. The only approach to get the hang of a new language & framework would be through continuous structured learning and building 'stuff'. Writing about the process only adds to the learning. Starting with baby steps, here's how I set up Elixir and Erlang. Elixir runs on the Erlang VM and so requires Erlang 18.0 or later as a prerequisite. Having to manage multiple versions of Elixir for my different apps made it necessary to have a version manager. 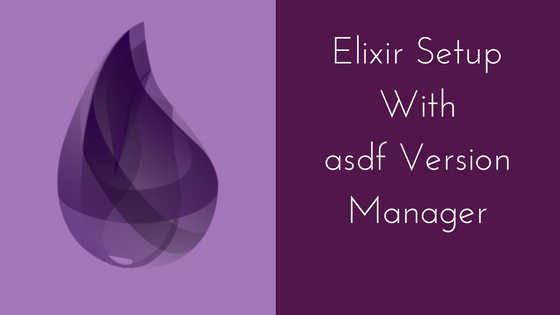 The asdf version manager fits all Elixir & Erlang version management needs and some more. The source can be found here https://github.com/asdf-vm/asdf and its creator here https://github.com/HashNuke. The primary reason for choosing asdf is that it can help with version management of Node.js, Ruby, Python, Postgres and more. Its as simple as adding the plugin for the language desired and then one can install/uninstall or switch between versions. Instead of installing 3 different version managers to manage Elixir, Erlang and Node.js , we can use asdf for all three. This creates the .asdf folder in your home directory. All versions of your language that you install with asdf will be in the ~/.asdf/installs directory. 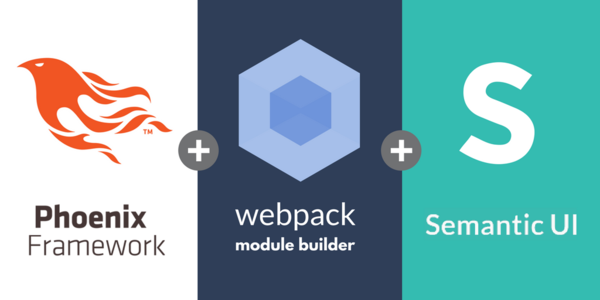 Plugins are how asdf understands how to handle different packages. This will download & configure Erlang. The global version which is to be used by default by any scripts that you run can be set by creating the .tool-versions file in the home directory. Create the .tool-versions file inside your app folder and this will override the tool versions set in the global file in home directory. Finally... Set up's done and glad to see that I can control the versions I use confidently.